The Foodle is a cross breed obtained by combining the Poodle with the Fox Terrier. Like many other cross breeds, the Foodle may reunite the best characteristics of the two parent breeds. Easy adjustable to almost any climate, these dogs are also easy to find and to get, being very common all across the world. They inherit some of the hunting instinct from the Fox Terriers and therefore they require early socialization with people and other pets. This will help the Foodles to get along well with them. Some of the abilities of these dogs are agility and tricks. The relatively small bodies can weigh up to 6 kilos and aren’t usually more than 30 centimeters tall. Foodles usually have a life span of up to 13 years. The legs of the Foodles are slender, yet long. The drooping ears are a bit long as well, the eyes are dark – just like their nose is. The tail is really feathered. The muzzle is short and thin. The coat is usually dense and short and can vary in color, being black, white or tan or combination of these. From a grooming point of view, these dogs are considered to be at an average level. Training is very important for every dog and it can make a big difference when trying to turn an average dog into a brilliant one. In order to have the desired effects, training must start when a dog is very young of age, so that their character can be easily molded and prevent later behavioral issues. The best way to train a dog is to use consistency and firmness. As repeating tricks for too many times can be a bit boring for Foodles, it is important to find a way to always find innovative training methods to make it more entertaining. Foodles are very active dogs and they require a consistent amount of exercising in order to keep fit and healthy. Daily sessions are ideal, be it running or just walking – they are much appreciated by these hybrid dogs. Please note that leaving Foodles alone or ignoring them for longer periods of time can lead them to have unwanted behavior, so it is best to treat them as full time family members. These dogs are particularly active and also proved to be very dependable and spirited. They have a tendency to pick a family member to which they feel they can connect best and they get attached to him or her, but they will still act as an adorable pet for the rest of the family as well. Foodles respond well to obedience training and early stages socialization, which allow them to get along fine with different kinds of pets in the family. 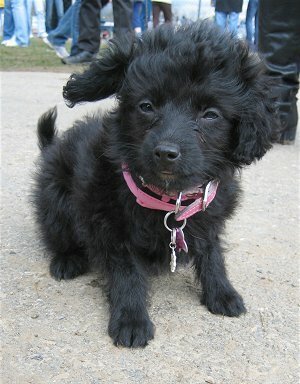 The appearance of the Foodle is very similar to that of a Poodle. These dogs are very good in their relationship with children, but it is imperative to supervise their interactions accordingly. Foodles usually pay much attention to the surroundings and due to this they can make at times good watch dogs. The training methods must involve consistency and firmness and they must be resolute and must be carried out along with socialization. Of course, like in the cases of most other dogs, they need to start at early ages, so that they mold the dog’s temper in a positive way. They will love to meet new people and familiarize with them, so taking the Foodles along in a trip would turn out to be a very good thing. Also, allow them to get used to other pets. Assuming all the recommendations with regards to training and early socialization are carried out, the Foodles will prove to be quite good in their interactions with children and other pets. However, children also must be taught how to best interact with these dogs, but even so it would be good to always keep an eye on them when together. Foodles require average grooming level. Normal brushing and combing and occasional bathing should do the trick. However, cleaning their teeth and ears should be carried out regularly, in order to prevent any potential infections. 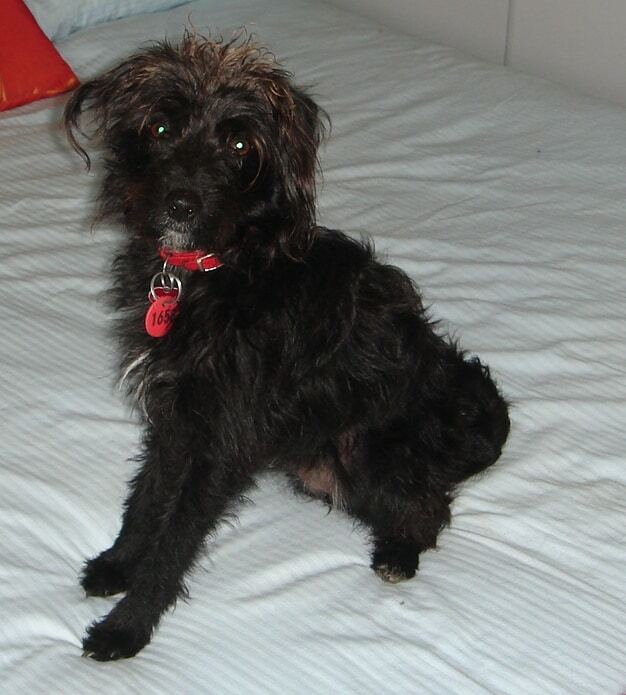 Being a hybrid dog, the Foodle can inherit health conditions from either parent breeds. When deciding to get a Foodle puppy, it is mandatory to research breeders properly, in order to find a responsible one that can provide the health background certificate of the puppy. On the overall, there are no known specific health issues with this cross breed. Training is important for all dogs, to help mold their characters and enhance their abilities. This also plays an important role in the prevention of potential later behavioral problems. Firmness and consistency are key in the training process, but also gentility. As repetition can easily get boring for dogs within training sessions, being innovative about the methods can prevent this from becoming a problem and lose the dog’s interest in training activities. Foodles are known to be highly active dogs, investing consistent amounts of energy daily in their playing activities. This is benefic for them, as they manage to keep fit and healthy, but this is only provided that they are allowed to have all the daily physical activities. This cross breed is recognized worldwide under the name of Foodle, except the International Designer Canine Registry ® which names it Toy Foodle.